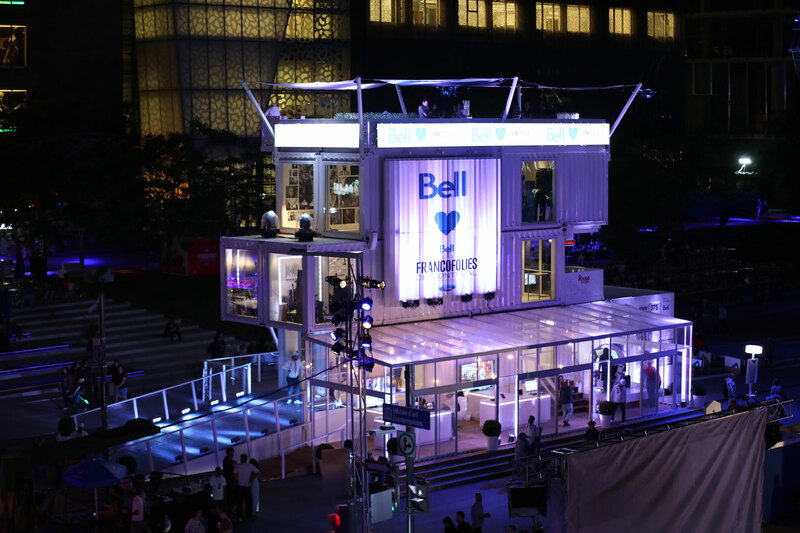 Summer 2017 was a busy time for Bell, as the major sponsor of two of Quebec’s big music fests, the FrancoFolies de Montréal and the Festival d’Été de Québec (FEQ). 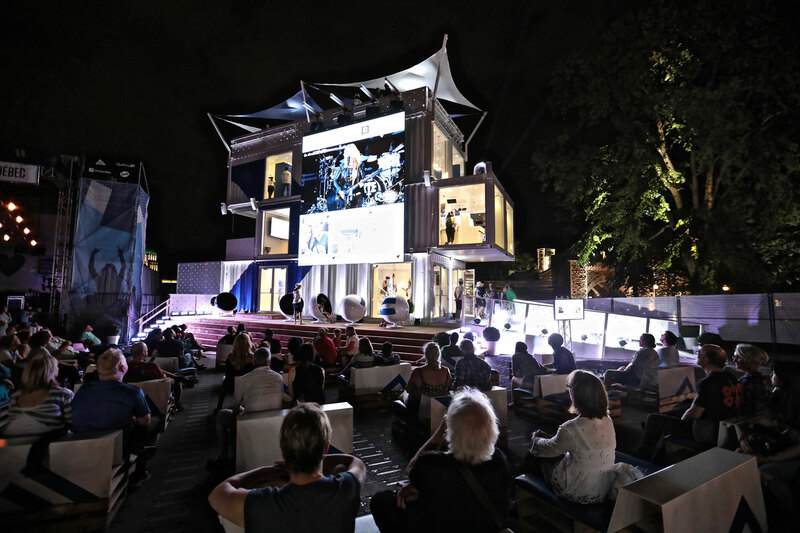 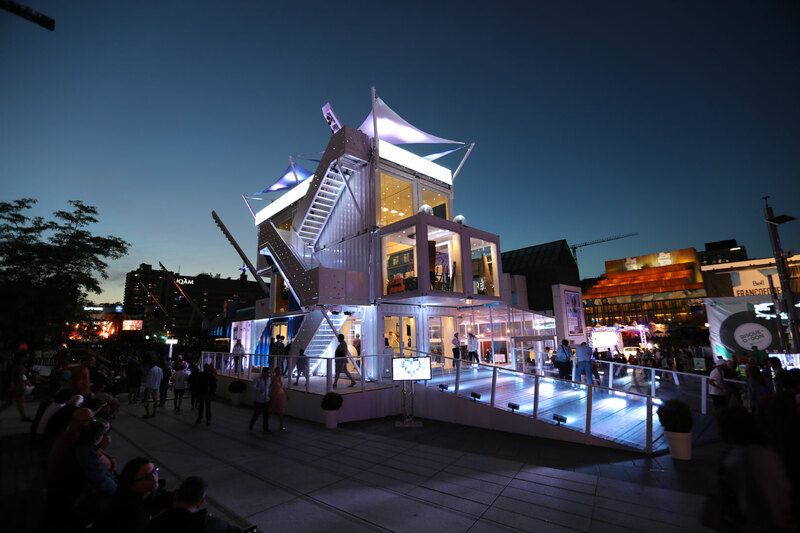 Using its BB2 module, made up of six 40-foot recycled shipping containers stacked like building blocks, the resulting Bell Pavilion wowed festival-goers at both events because of its ingenious design. 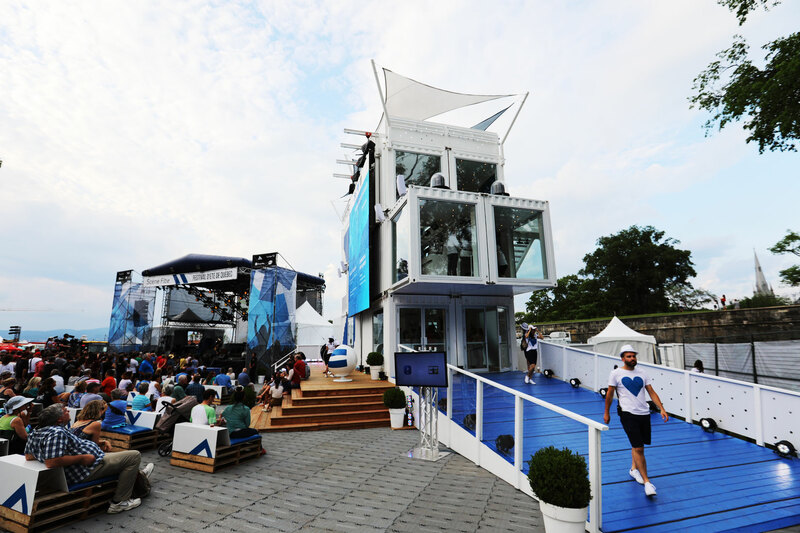 In addition to designing and building the Pavilion, Loki also set it up, broke it down and moved it to the next event. 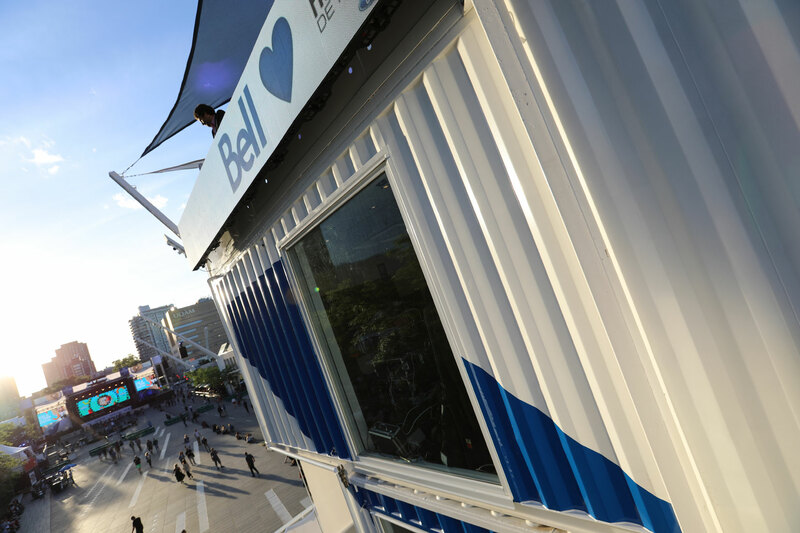 Bell was at the Francofolies de Montréal from June 8th through 18, enjoying enormous success right in the heart of the entertainment quarter. 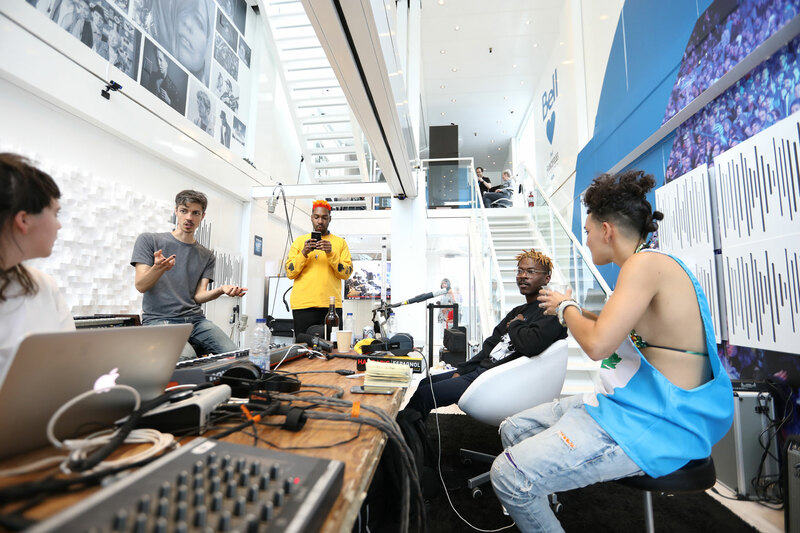 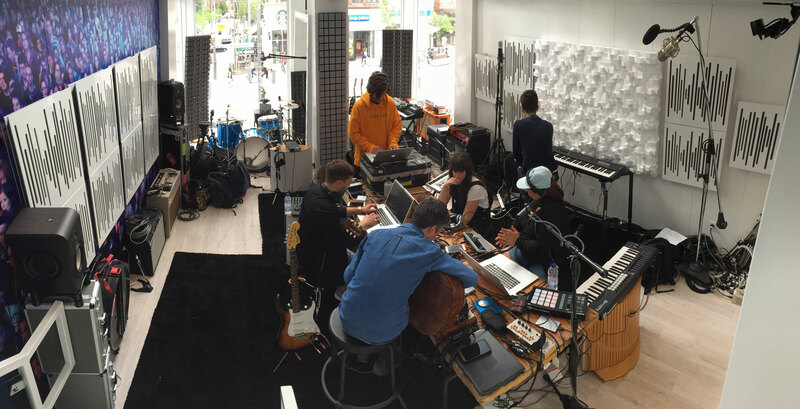 A recording studio was set up in the Bell Pavilion and four musical artists were invited to compose and record a song that was broadcast live on the Web. 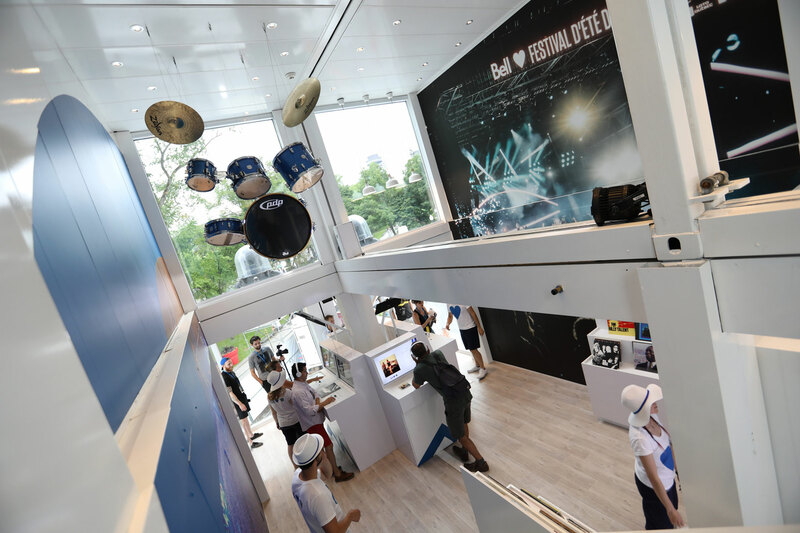 The public was invited to explore the different spaces, take part in several activities, see tech demos in a glassed-in space connected to the main structure and climb onto the unit’s top deck for an unforgettable view of the main stage. 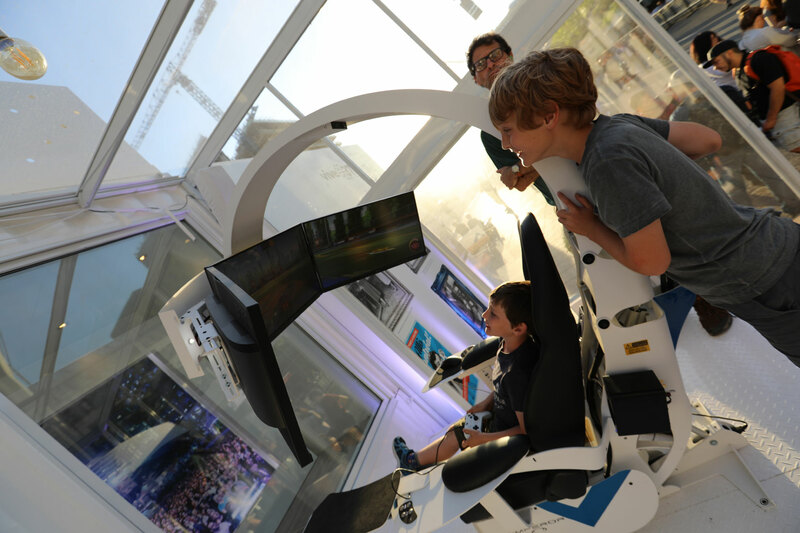 All in all, a huge hit! 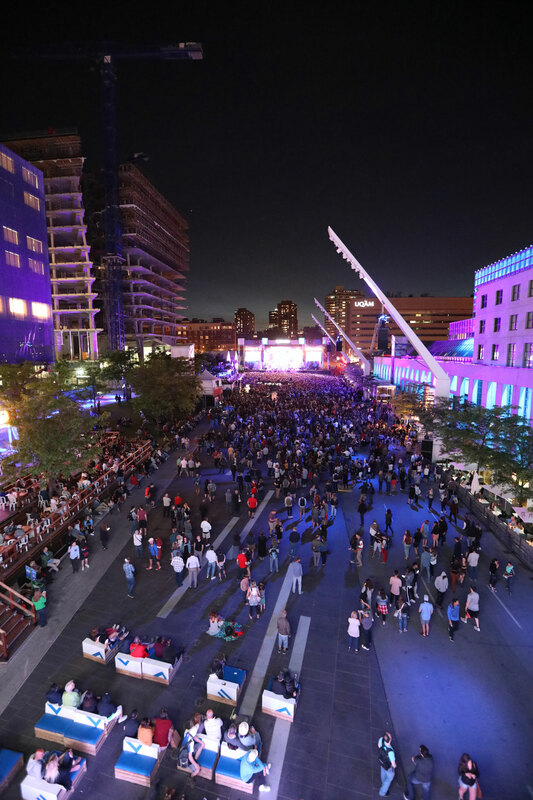 This year, the FEQ, held from July 6 to 16, celebrated its 50th anniversary. 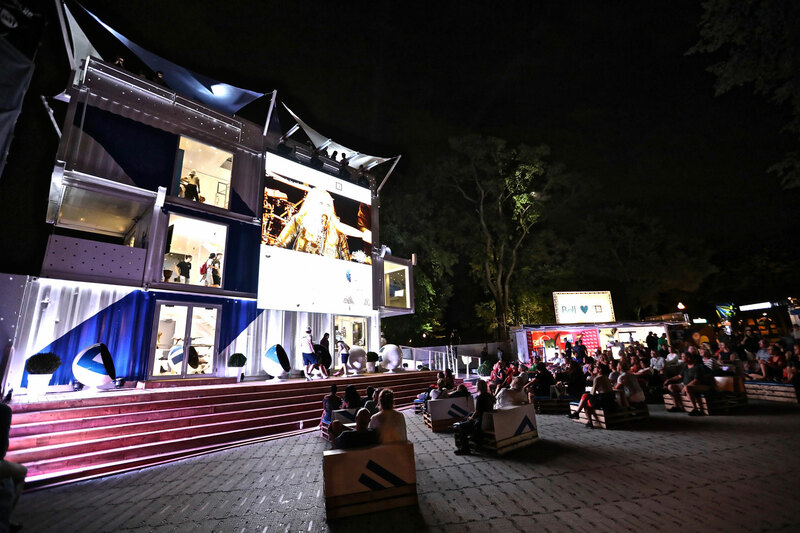 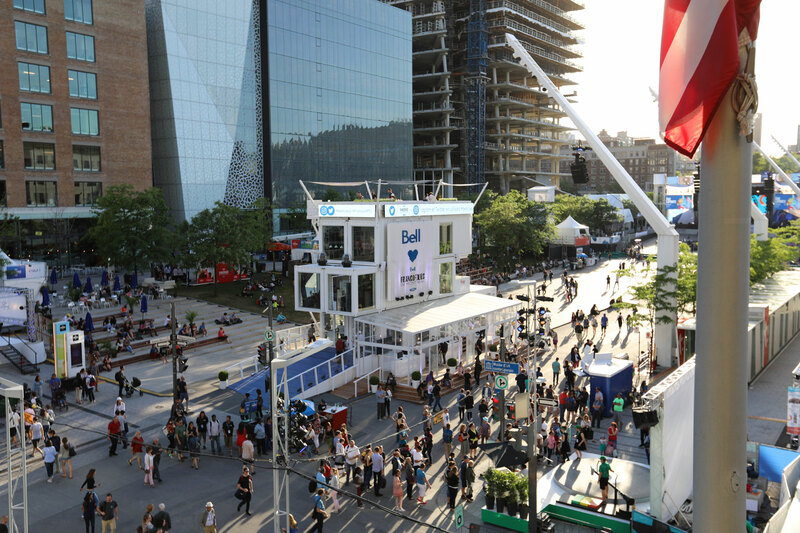 To mark this momentous occasion, Bell created the Coeur du festival (heart of the festival), consisting of the soaring Bell Pavilion, surrounded by food trucks and other brand activations. 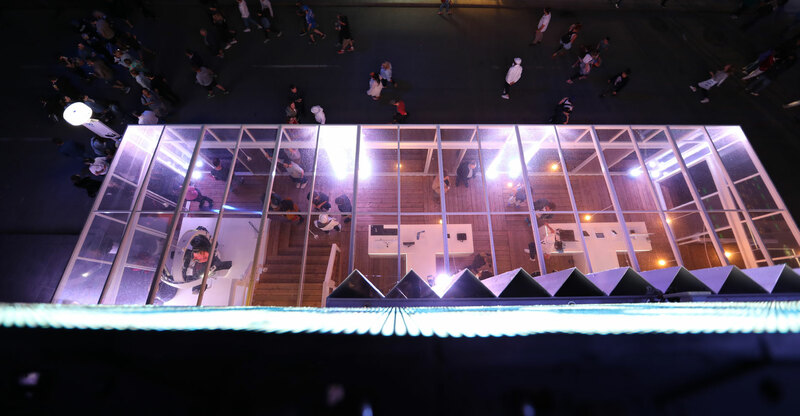 This acted as a reference point and gathering place for throngs of festival-goers throughout the 10-day event. 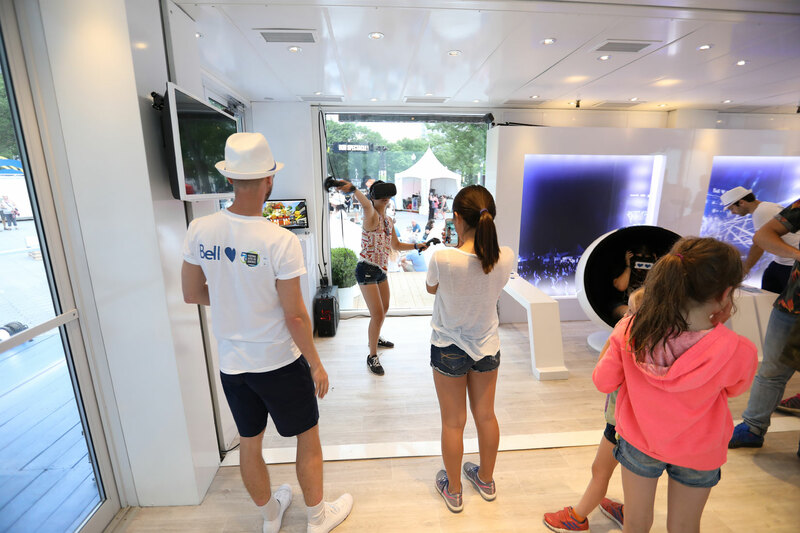 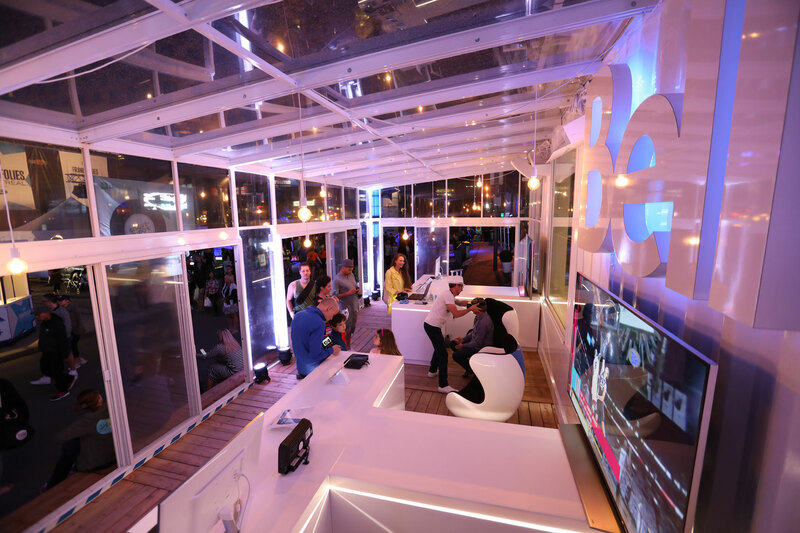 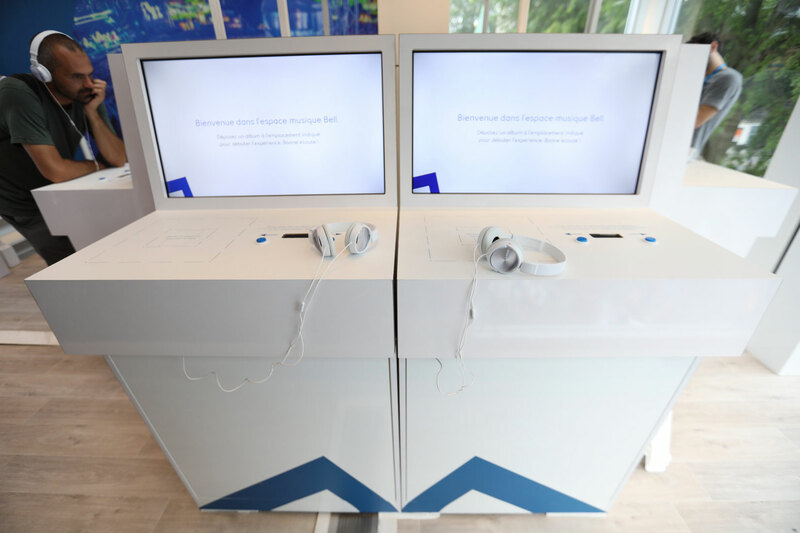 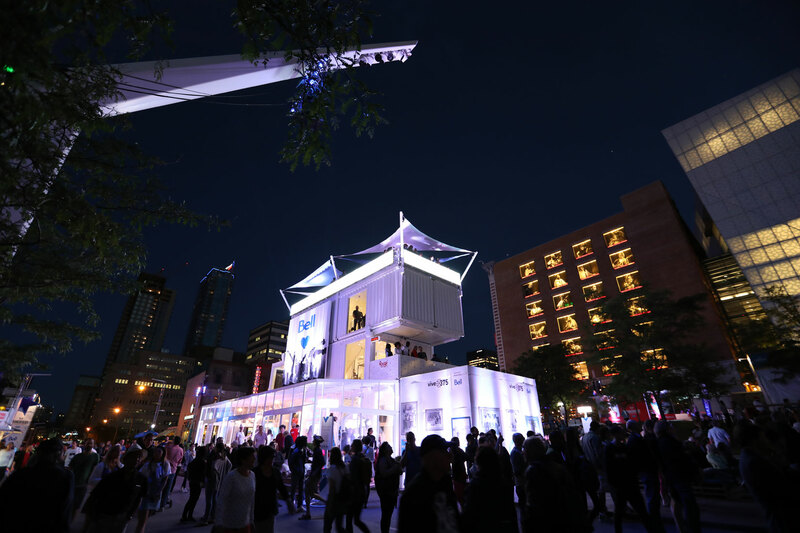 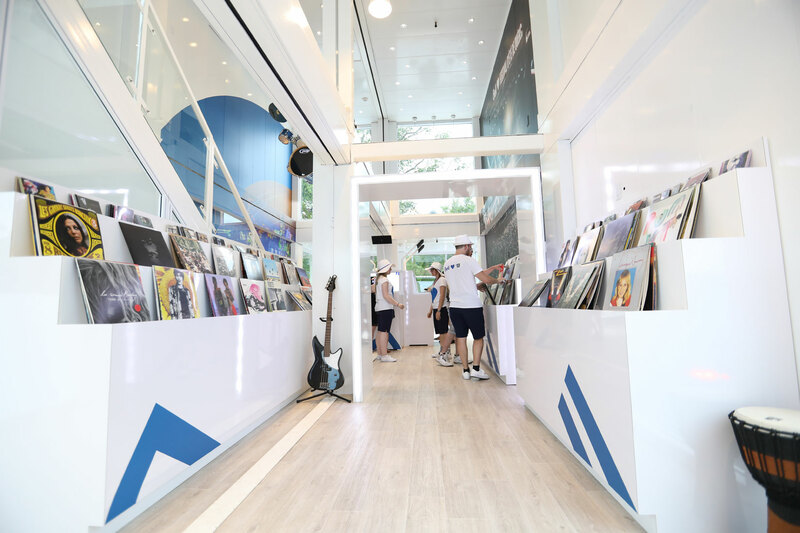 The Pavilion’s offer was continuously renewed, encouraging festival-goers to participate in interactive activities, learn about the FEQ’s 50-year history and try out Bell’s latest products and technologies. 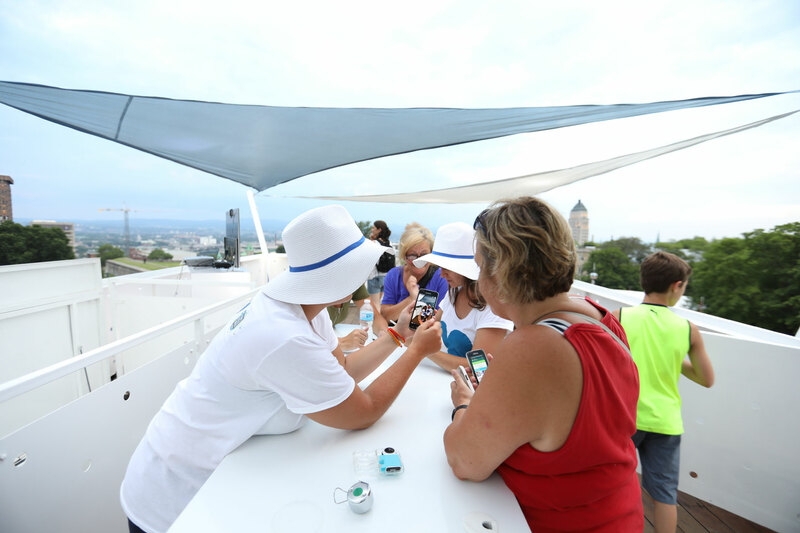 The star attraction, as always, was the rooftop deck, which provided breathtaking views of the city and a clear view of the action on the stage. 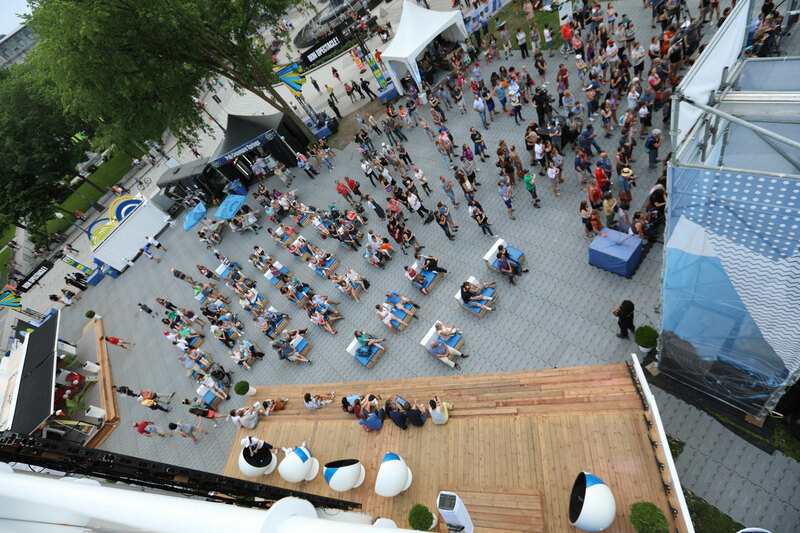 The Bell Pavilion was a huge success at the FrancoFolies and the FEQ and received great media coverage. 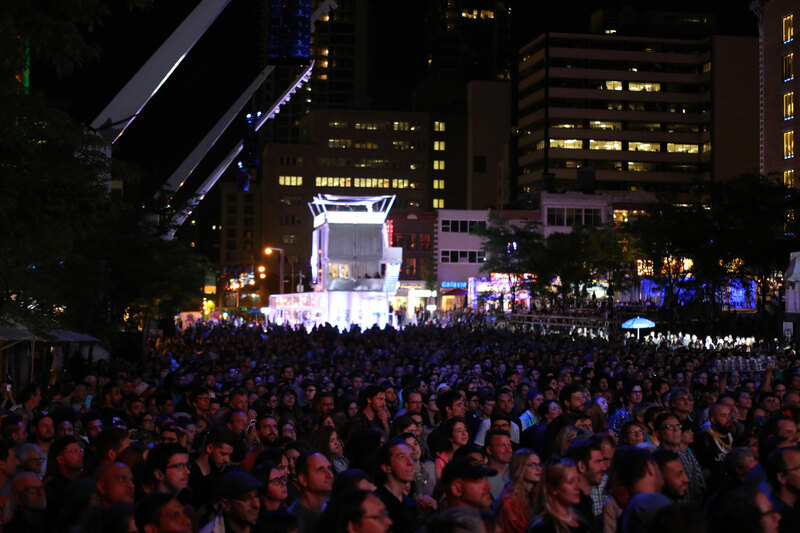 Upon seeing the steel monolith rising out of the crowd, festival-goers could not help but be curious and make their way over. 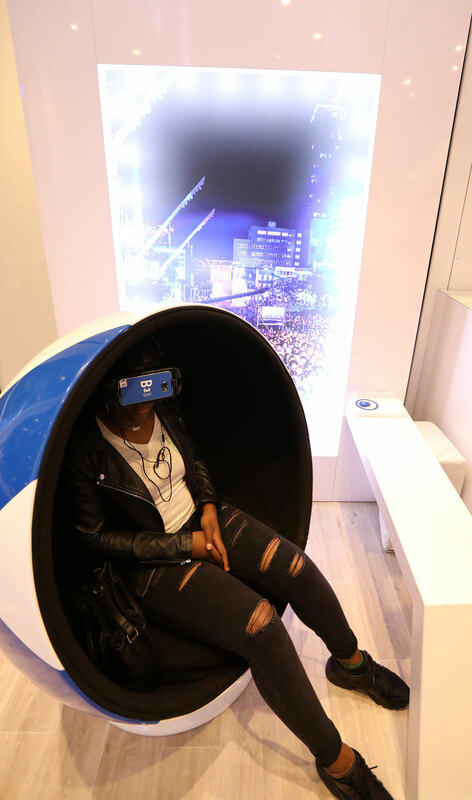 Both festivals attracted a record number of attendees thanks to the hub created by Bell.